During the construction phase of the 2012 London Olympics, the majority of the construction materials were transported to the Olympic site on barges from the River Thames, and through the Prescott Channel. In order to accommodate the tidal changes in the Channel it was necessary to construct a new system of locks at Three Mills Lock. 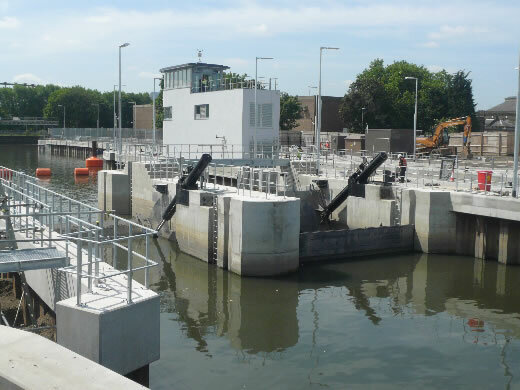 Engineers now working at Advanced Hydraulics Ltd were instrumental in the specification, design & manufacture of the hydraulic power units and cylinders which control the lock gates along with the installation and commissioning of the equipment. The main hydraulic cylinders were 400mm bore and 5200mm stroke, gimble mounted and fitted with linear displacement transducers.